While many of the groups travelling the world with Remote Year are chasing summer, our #RYCurie group is doing just the opposite—we are chasing winter! That is going to be very welcome once we hit Asia but I must say that December in Prague was, well, cold. And dreary. As a food & travel photographer, I have to admit it was challenging to find the desire and motivation to get out to capture travel photos. But I did manage to snap some that I’ll share with you here. During our month in Prague, there were very few moments with the kind of great light that draws a photographer outdoors with a sense of wonder and excitement. I spent much time wrapped in multiple layers of clothing, looking out my apartment window, hoping for some light to illuminate the lovely and colourful architecture that surrounded me. But the light was flat and unappealing and I felt frustrated most of the time. And I felt guilty for not forcing myself to just do it, to grab the camera and capture the spirit of the place. 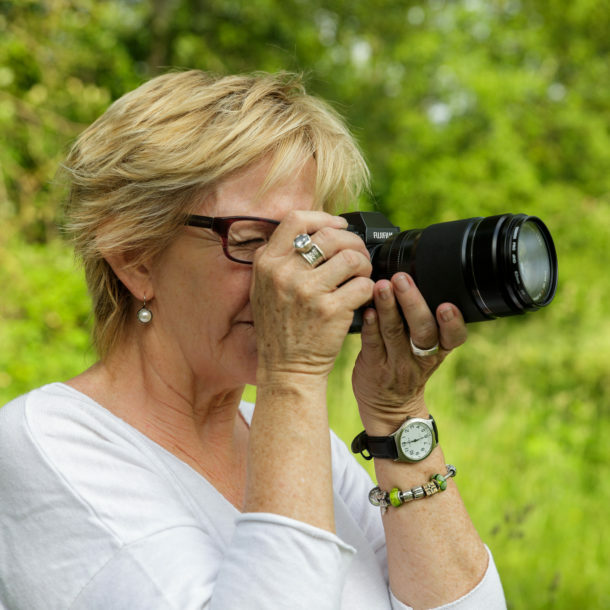 This is the hard truth about travel photography: it’s not always easy, glamorous and fun. There are many challenges to overcome, and I seemed to get hit with many of them all at the same time during my time in Prague. It’s taken me almost an entire month to open up the digital folder to see what photos I did capture and, well, I am pleasantly surprised with the results. 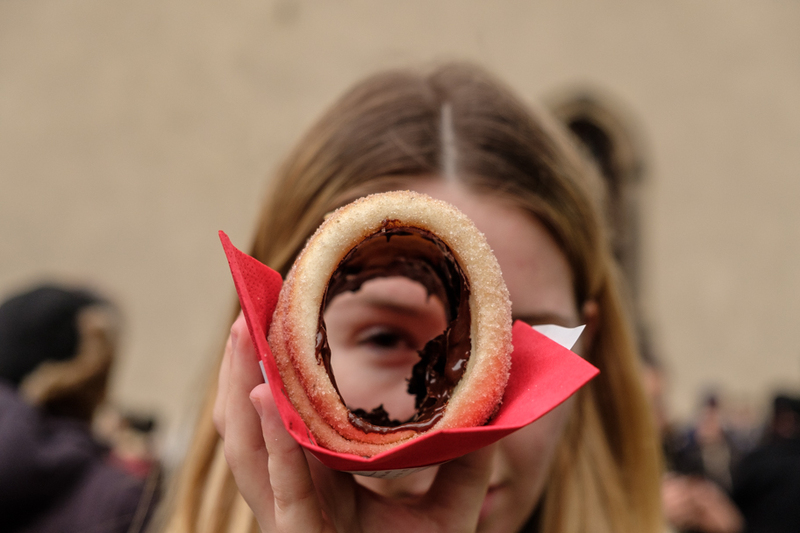 Instead of photos of the weeks in Prague, I am sharing my favourite photos of the month. And I will let the captions tell the stories, as I must be quick and move on to describe our next global location soon! ** I feel I must disclaim my comments about the cold. Yes, I am Canadian. Yes, I spent most of my life in Alberta where cold winters could last 6 months or more. But I think the bitter cold I felt in Prague was more about the packing conundrum as a #digitalnomad. It’s a topic that is talked about frequently in our Slack chats. 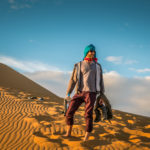 How to pack for a whole year, especially when only one month will be spent in true winter weather? You just don’t want to lug around a whole bunch of winter clothes, or buy too much when you know you will leave it behind. So we shivered a lot. Real tests come when the going gets hard. This castle complex, dating from the 9th century, is the official office of the President of the Czech Republic. 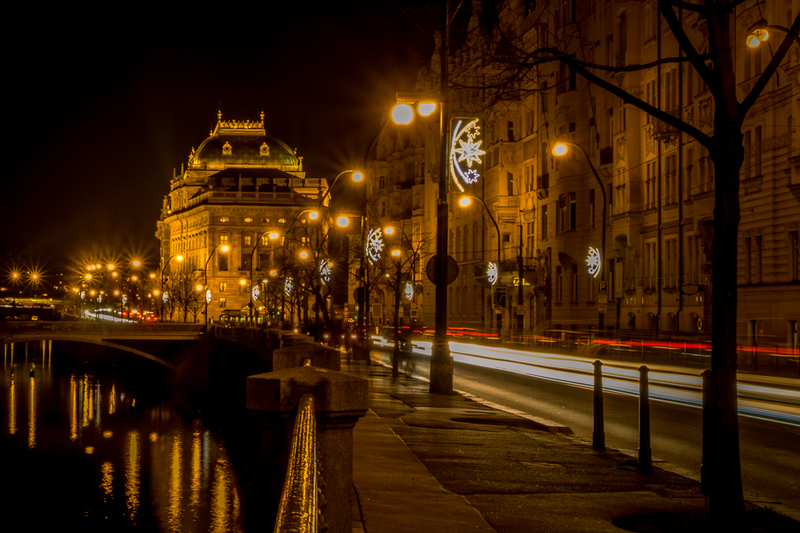 It is a stunning landmark, especially when viewed at night from across the Vltava River. Apparently it is the largest castle complex in the world. Prague Castle is equally as stunning when viewed from the Charles Bridge at sunrise. 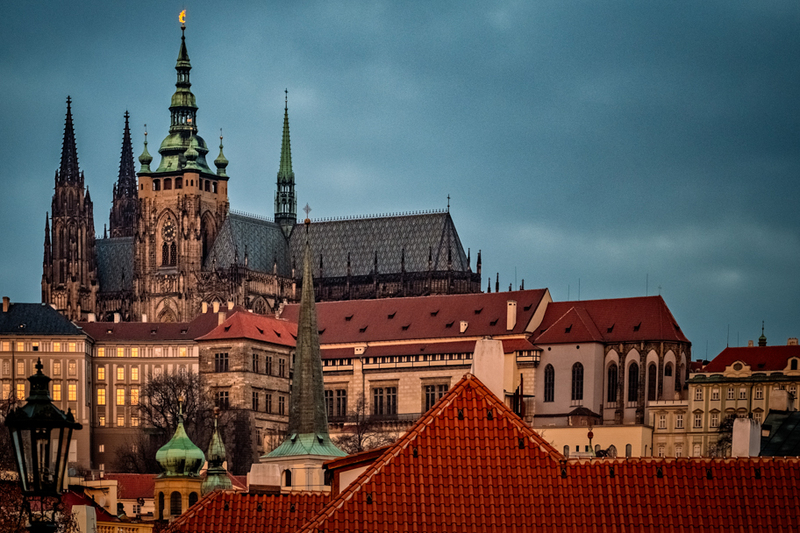 This photo features the spires of St. Vitus Cathedral, which took 600 years to build. 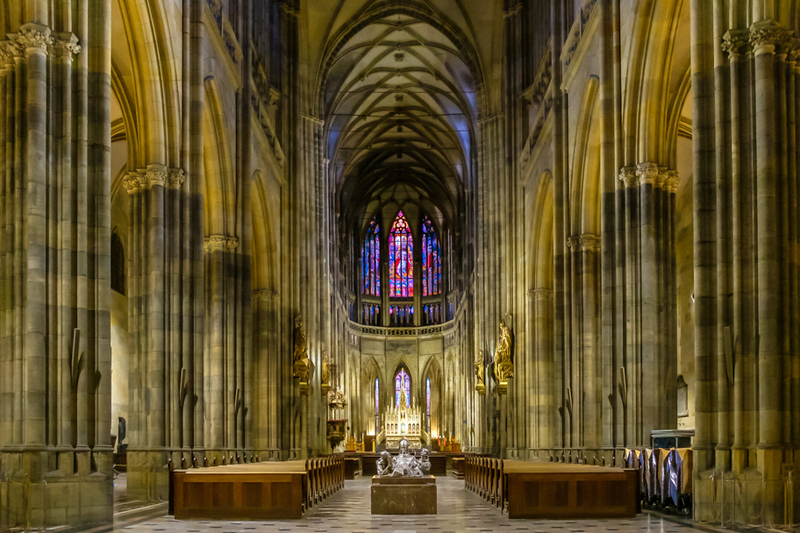 A jaw-dropping interior view of the nave of St. Vitus Cathedral. It’s rarely empty of tourists; you have to attend the 6:30 am mass to be able to capture photos like this. The details at the castle complex are astounding! 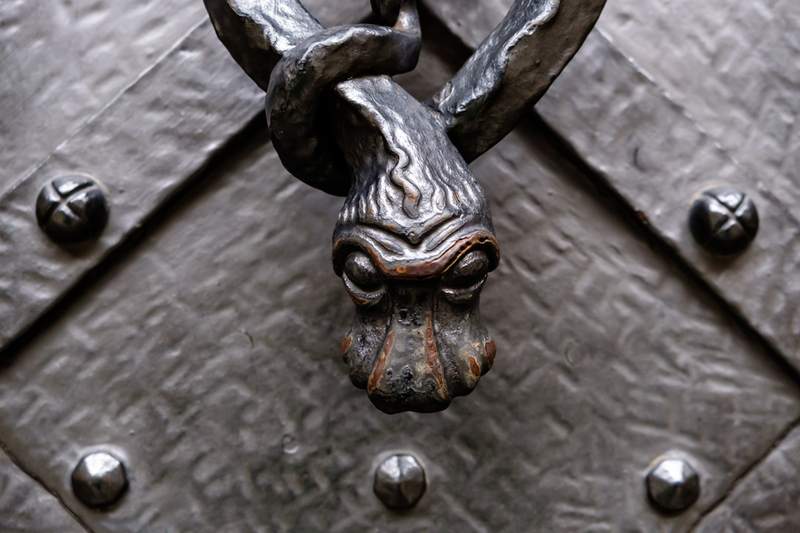 When you see this kind of detail on an iron door of the cathedral, you start to comprehend how it would take 600 years to build. 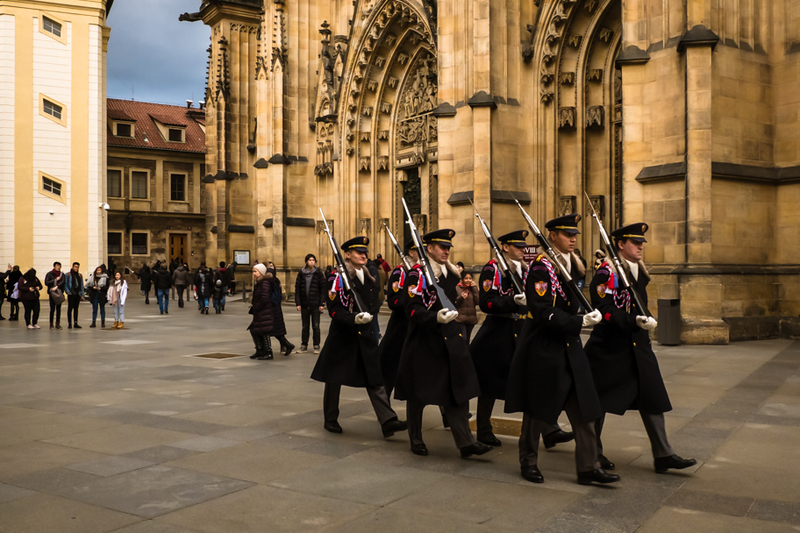 Security in and around the Prague Castle complex is very obvious, and important. And twice in our month there we heard air raid sirens, just like I remember hearing as a school-girl during the Cold War in the 60s. It felt quite eerie to hear those sounds. 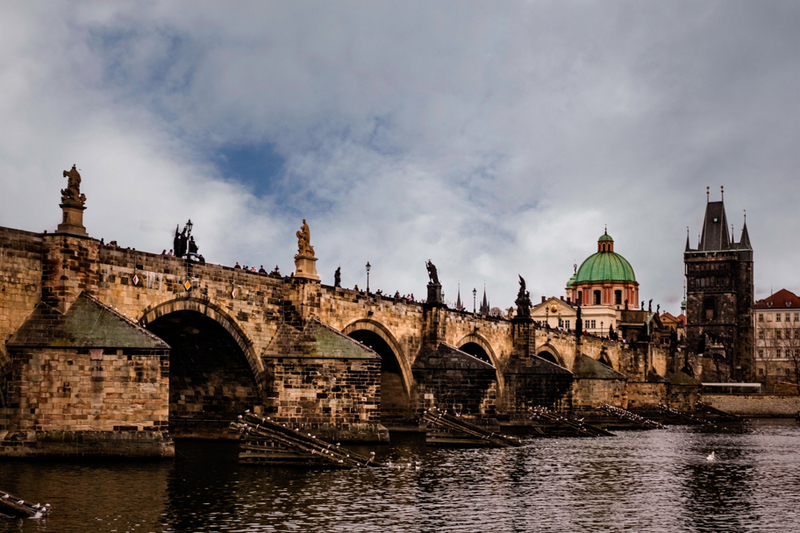 The Charles Bridge is an iconic landmark in Prague, linking the city’s Old and New Towns. Construction started in the 14th century, and legend has it that the first stone was laid by King Charles IV. A popular activity in Prague is to get to the Charles Bridge early to watch the sunrise. It was very, very cold the morning this beautiful sunrise appeared! Prague is filled with architectural beauty! 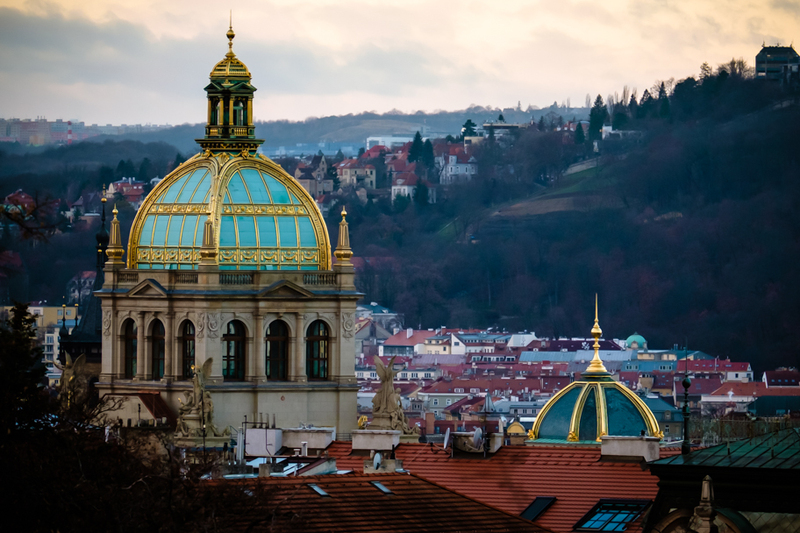 These are the 2 domes of the Prague National Museum which stands impressively over Wenceslas Square. Prague’s National Theatre (on the left) is a majestic structure, and one of the symbols of Czech national identity and cultural heritage. My daughter Zoe was fortunate to secure the very last ticket available for the December 2018 run of The Nutcracker. I had wanted to go with her but I wasn’t so lucky! “Little Hanoi” is the term given to a large cluster of shops and restaurants in Prague that transports you to Vietnam. 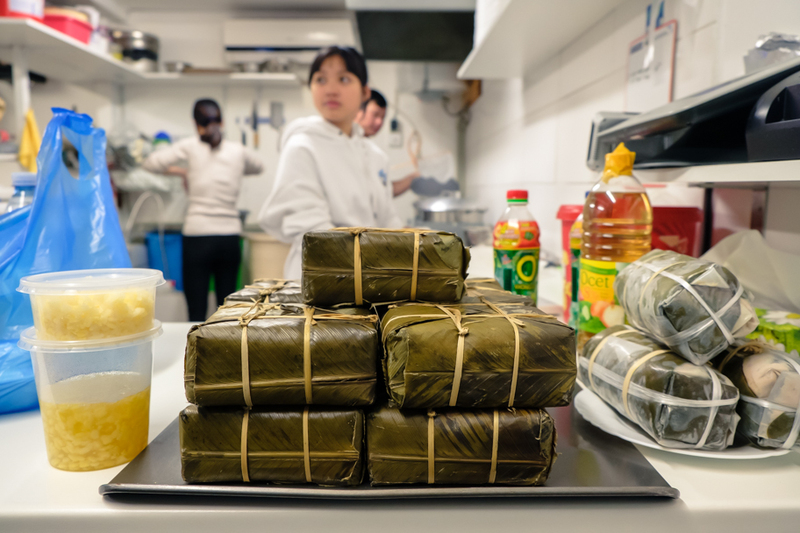 There is a very large Vietnamese population in Prague, which came as quite a surprise to me. But it was a good surprise, since Pho is so darn good on a bitterly cold day or when you’re feeling sick. Or anytime, really. 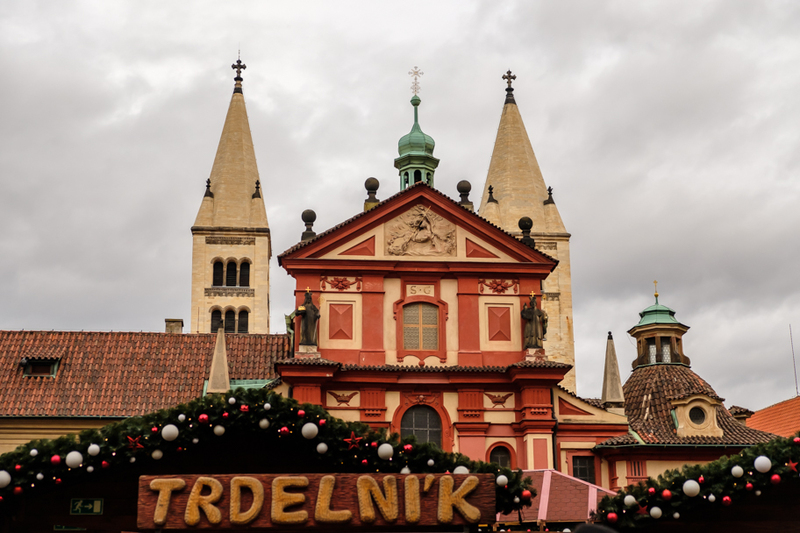 One of the most popular street foods available in European Christmas markets is called Trdelni’k. We called it “turtleneck” and Luke, one of our #RYCurie members, found one to eat every day! It’s dough, wrapped around a stick, grilled over a hot fire, then rolled in sugar and sometimes ground almonds. They are especially good when slathered with Nutella! 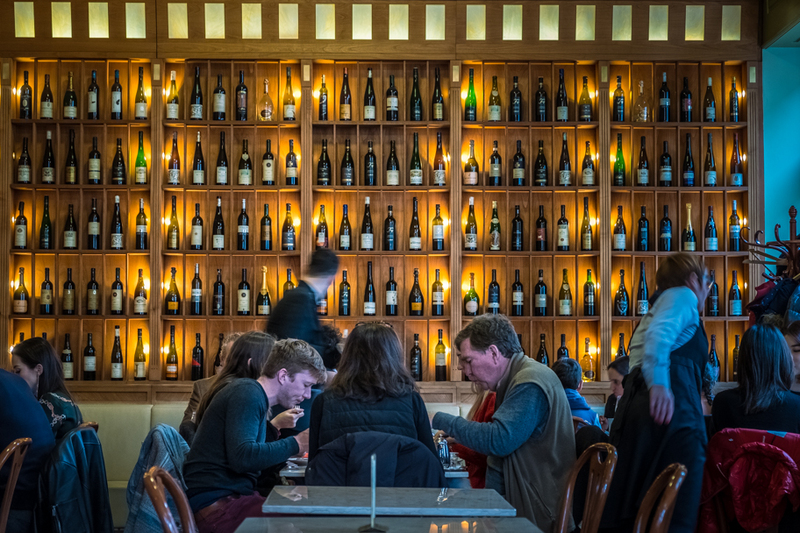 Eating out seems to be a national pastime in Prague, and restaurants abound! Much of the regular fare is meat-heavy (and delish), but we were looking for something a bit lighter. Cafe Savoy was highly recommended as a restaurant to try, and I’m so glad we did! 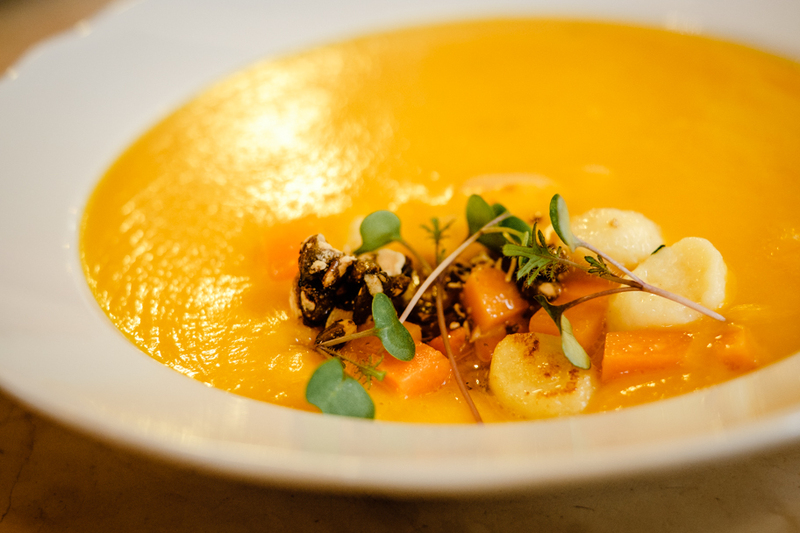 The pumpkin soup I ordered at Cafe Savoy was simply delicious! Upon recommendation from a foodie-friend in Vancouver, I was on the hunt for a pastry called “little coffin”. It’s a label that reflects the typical Czech dry humor, and it does bear a close resemblance to a coffin for sure. 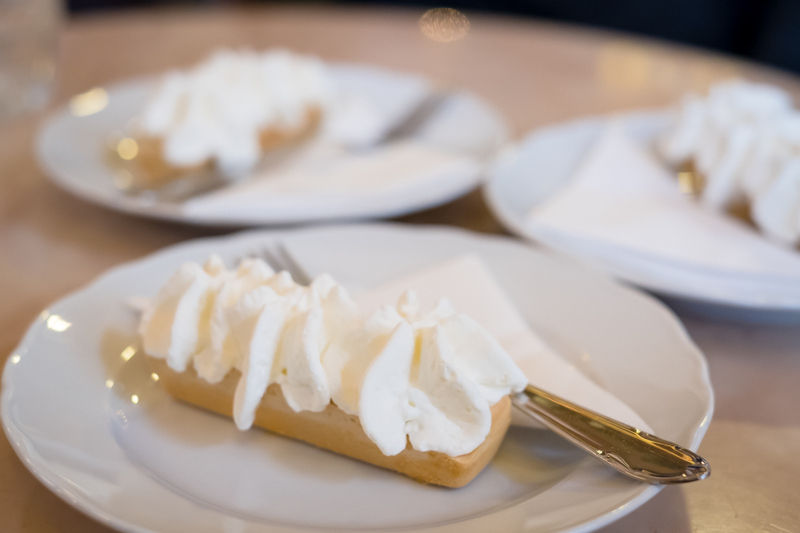 It’s a light and delicious sweet mix of sugar and egg yolk, slowly baked, hollow inside, often served with whipped cream on top. 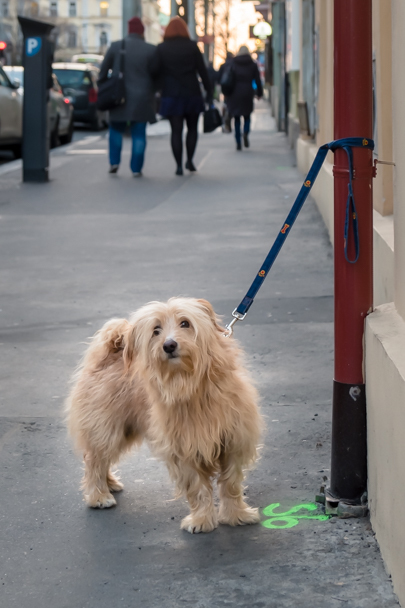 Prague is such a dog-friendly city! Dogs are everywhere it seems, often in restaurants, often unleashed and very obedient. This little fellow seemed to pose for me so I had to oblige! 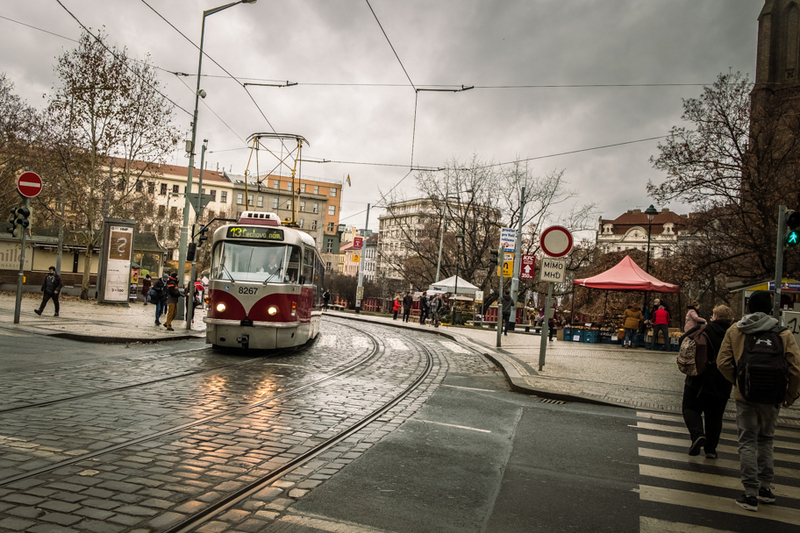 Prague’s transit system is world-class. While I liked the retro-industrial look of this outdoor tram, the underground metro system is contemporary, exceptionally clean, and super-efficient. It was just so darn easy to get around with a 30-day transit pass. 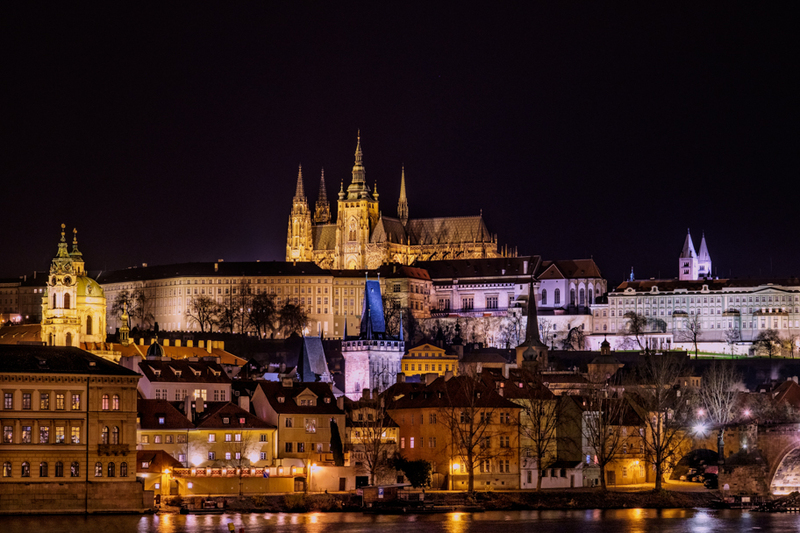 Prague, and many other Eastern European countries, are world-renowned for their Christmas markets. 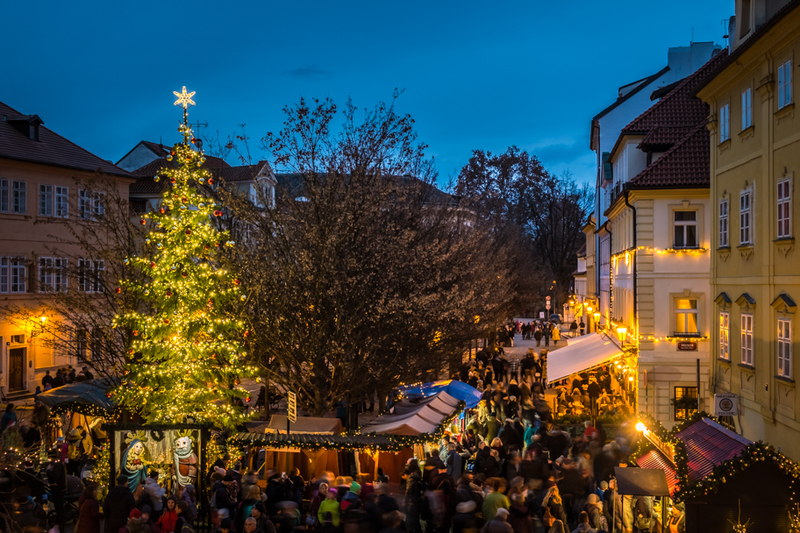 This was one of the smaller Christmas markets in Prague, located in the Mala Strana (New Town) just beside Charles Bridge. Would I go back to Prague? Of course I would go back to Prague, especially in the spring or autumn (leaving the summer for the hordes of tourists who flock there). Prague is a hauntingly beautiful city, rich in historical complexity (some of it quite upsetting). And the architecture is just so stunning, when the light is right. We had been advised that the typical Remote Year journey starts on a high note, descends to a low note, and then winds its way back up higher than the start. So I think my month in Prague was my personal low note, and everything from here on in will take me to where I want to go! 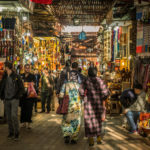 I hope you come back for the next blog, I’ve got so much to share from Marrakech, Morocco! I’ve been practicing my street photography skills in the medinas in and around Marrakech. And I hope you will share your comments about these Prague #travelphotos! Drop me a message in the comments below. Do you like street photography? Happy New Year Barb! 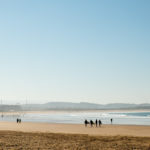 I have been really enjoying your blog, your pictures are amazing! So sorry to hear that you have been sick. Calgary has had a pretty mild winter so far. Today the snow is lightly falling, so it looks beautiful from the comfort of my warm home. 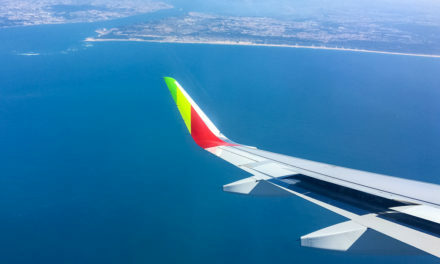 Enjoy Morroco! 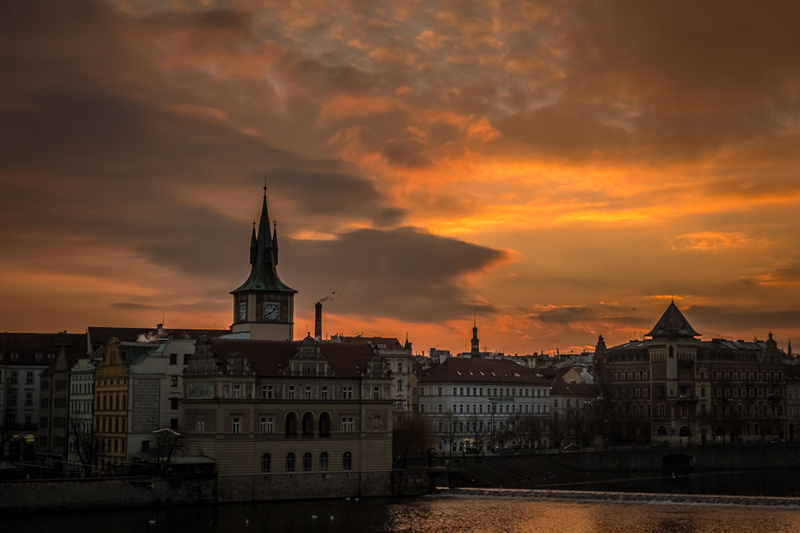 Hi Girlfriend: Your photos are just AMAZING…brings back a lot of memories…just loved Prague…would go back in a minute. Hello Irene, thanks for your kind comments, means a lot coming from you! The postcard took quite a long time to get there, but glad you received it. 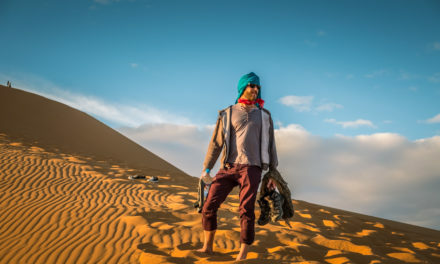 I’m already almost ready to leave Morocco and have TONS of photos to sort through and share. This is a place I will definitely return to. hugs! Thank you so much Kelli! Makes me so happy to know that my accounts of my journey inspire you. There is so much more to come! Thanks for following. Beautiful shots Barb! You would never know that you struggled to get those. Hi Denise, you are so kind! 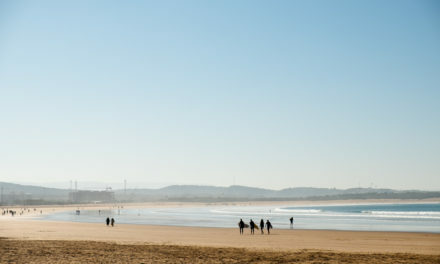 And insightful 🙂 I was actually pleasantly surprised at the results of my forays out into the winter climate in Prague, and really would like to see it in a different light, so it’s on my list of got-to-return-to (along with Morocco, oh boy!!!! ).